Michel Platini went unopposed in his re-election to the post of UEFA president. This will be the former French great's third four-year term since he took over reins of the UEFA in 2007. Platini was voted by acclamation by the leaders of UEFA's 54 member federations. He also retains the post of the FIFA Vice-President for another four years right through to 2019. Platini has chosen not to pit himself against Sepp Blatter in the elections for the post of the FIFA president to be held on May 29 this year. He said he had a deep respect for FIFA despite supporting all the three candidates standing against Blatter for the FIFA presidential race. He professed his love for UEFA and said that he was delighted beyond imagination. But Platini made a cautionary note about the ugly rise of hooliganism in European football against a backdrop of nationalism and extremism. He harked back to the dark days of 1985 when he was a player with Juventus's team to play Liverpool in the Europa League final and was a witness to the Heysel stadium carnage in which 39 people lost their lives. Recent bouts of crowd trouble in the Greek Cup quarter-finals and in a Europa League clash between Dynamo Kiev and French club Guingamp caused him concern. 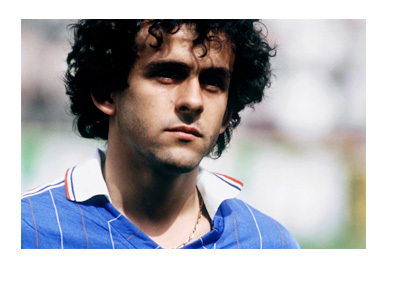 Michele Platini is regarded as one of the best football players of his generation. The attacking midfielder's control, technical ability, creativity, magical passing and incredible goal-scoring skills fetched him the Serie A capocannoniere or the Serie A Golden Boot for three consecutive years from 1983 to 1985. Juventus won every Italian title plus two European Cups during his tenure with the club. He won the Ballon d'Or in 1983, 1984 and 1985 and other awards that are just too many to count. He was also part of the FIFA World Cup Dream Team of 2002. His 41 goals for France is surpassed only by prolific Arsenal striker Thierre Henry. His name is set to be become synonymous with UEFA, but more than that, as a player he was one of a kind.